Merry Christmas readers, hope you are all having a great time, enjoying your holiday, family, presents or whatever else you get up to when the world closed down for a couple of days. Now I realise it's a couple of weeks since I last posted and I did say I would paint every Wednesday but with the festive period, shopping, wrapping and visiting family I've not painted just once a week. I have however managed to get some painting in this week whilst I'm off work and at home. So I've not managed to paint one, or even two figures but a group of eight, pretty impressive for my rates of painting, I've probably managed around 10 hours of painting in total across 3 nights. The figures of choice have been sat in my painting box for at least a couple of years, pretty much since they were released. I spotted them at a con and instantly saw their potential as pulp miniatures. 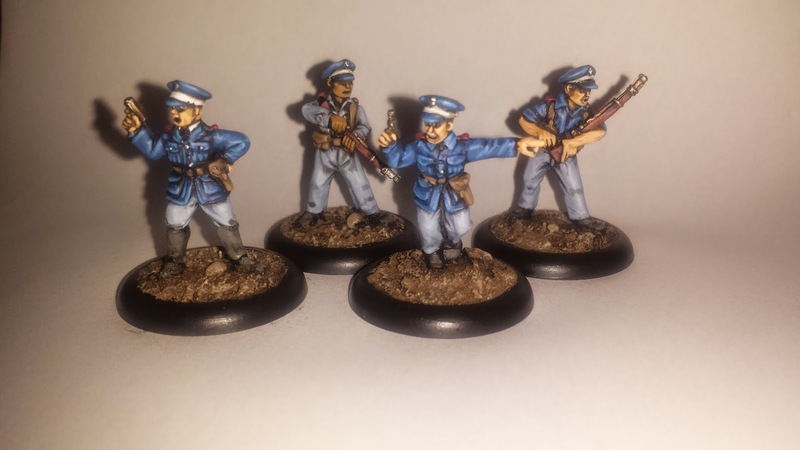 The figures are from Empress Miniatures Spanish Civil war range (not a period I know much about), from the Republican forces sold as Assault Troops and Command, to me they leapt out as some kind of border guards. 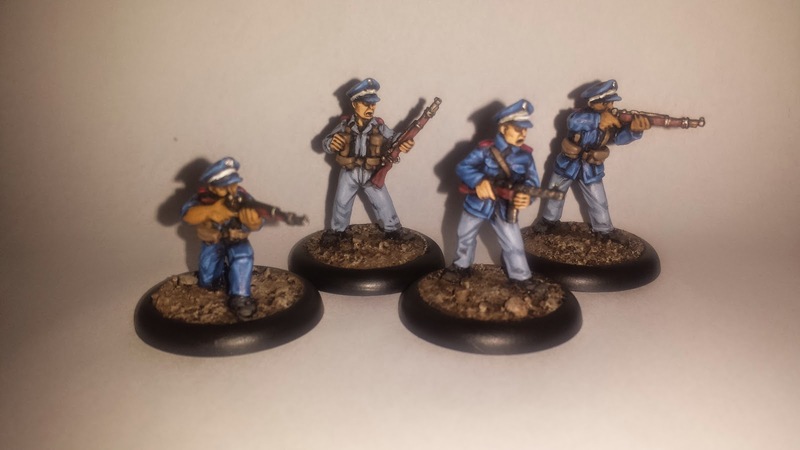 I've kept the colours fairly muted as usual, some semblance of a uniform but with some miniatures in jackets and trousers and others in overalls I thing they've got a lovely militia like feel to them. They're not meant for any country in particular and have a couple of different skin tones in there to add to their usefulness. Not going to be any Wednesday figures this week either, so I should next be painting on the 7th Jan, when it's likely going to be some Indian riflemen to add to my Kali Cult for some ranged firepower so I'll see you then.